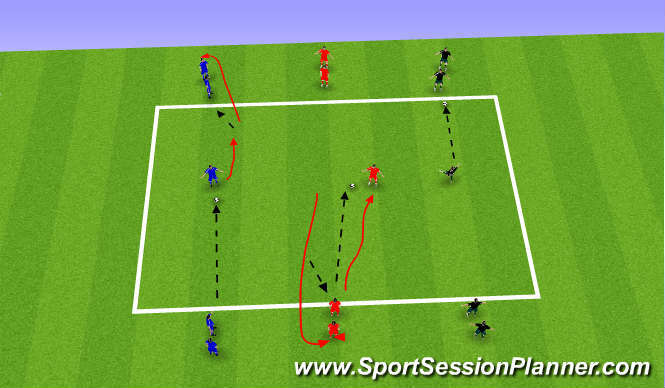 Organisation: Have a area, and get players on the outside facing each other, with a Player in the middle to recieve ball , outside player to pass ball in to middle player who will turn with the ball and pass it to player on opposite side, all players to follow thier pass, Progress this to a one touch on the turn then pass, then no touch turn and pass. Organisation:20x20 area, players in middle playing a 4v4, each team has a floater either side, depending on numbers could be more than 1. 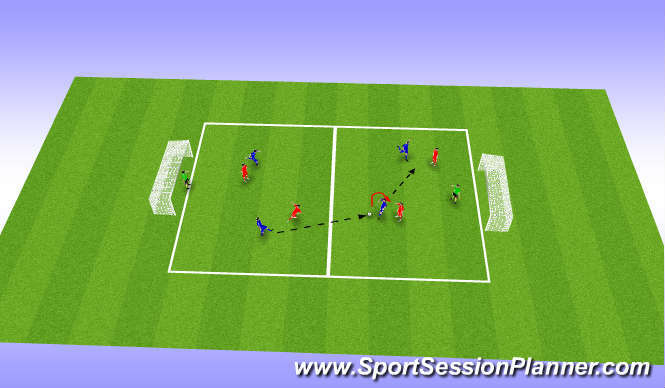 Aim is to pass the ball from one side to the other, while receiving ball having to turn and get it to the other side, player on outside to pass to play ball to thier partner on outside who then plays it back in. 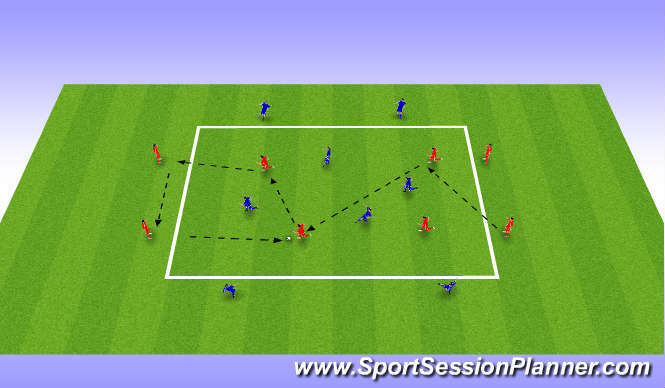 Organisation: set up pitch, 40 x 50, freeplay with encouragment to play ball into attackers from deep positions to make the TURN with the ball. depending on numbers, have floaters, who can also play the ball from wide positions. Coach and intervene when required. Key Factors: Turning, How many touchs, Angle, body shape, Creating space to turn, check over shoulder.